A part of Core Podiatry, Dr. Dennis Claire is experienced in all aspects of podiatry. Dr. Claire works towards building a better healthcare environment in Epping and Exeter, NH. He will spend time with his patients to explain their condition and give every suitable option available to them before moving on to surgery. Dr. Claire received his doctorate in podiatric medicine from Barry University. He attended Syracuse University where he obtained his bachelor’s degree. He is certified by the American Board of Podiatric Medicine. Dr. Claire is passionate about providing individualized care and helping patients focus on healthy lifestyles. 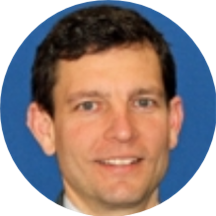 He has a passion for practicing cost-effective, evidence-based, and compassionate medicine.